Built in 1879 to a traditional proscenium arch design, the Lyceum is the only surviving theatre outside London designed by the famous theatre architect W.G.R. Sprague and the last example of an Edwardian auditorium in Sheffield. 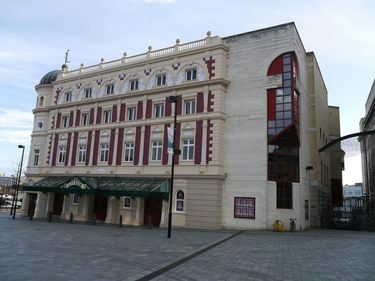 The grade II Listed theatre has 1068 seats and is part of the Sheffield Theatres complex with the neighbouring Crucible Theatre and the Crucible Studio. The building has changed ownership many times over the years, being used variously as a rock concert venue and a bingo hall. By the 1980s, the interior was in a state of disrepair. Two local businessmen bought the theatre in 1985, with financial support from Sheffield City Council, and between 1988 and 1990 the Lyceum was completely restored at a cost of £12 million. The theatre now serves as a venue for touring West End productions and operas as well as locally produced shows. The Theatre closed its doors in July 2014 to undergo a £1.9 million refurbishment, thanks to funding from Arts Council England, Sheffield City Council, several trusts and foundations, the local business community and theatre audiences. 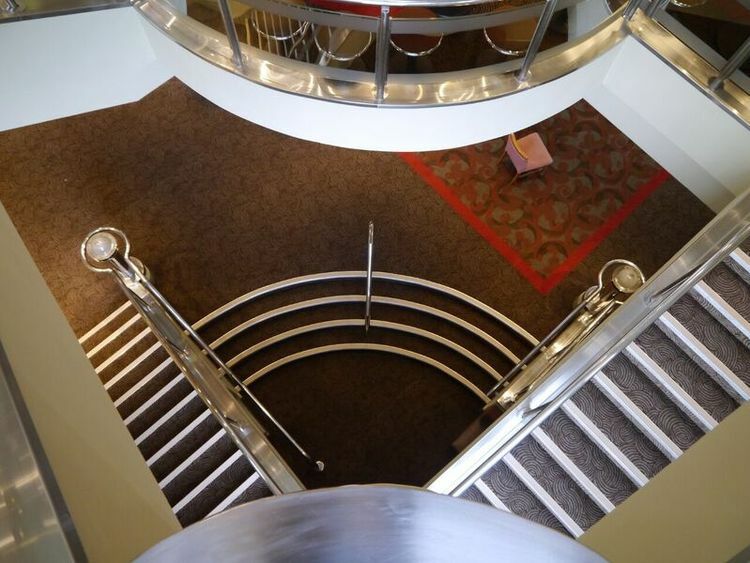 Over the ten-week project, the Lyceum was transformed, creating a more comfortable experience for audiences and significantly improving the technical and operational equipment. 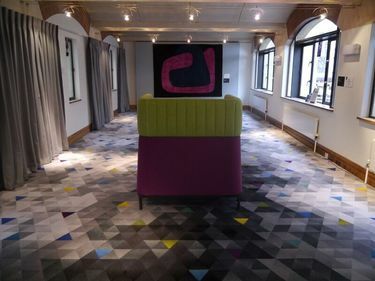 Brintons worked with John Bates, Sheffield Theatres Trust, Buildings Manager and Johnson Wright ltd to identify a carpet that would marry both the original part of the building with the newer extension. A design from Brintons archive was chosen and the inspiration was taken from the original artwork of Japanese Shin Bijutsukai dating back to 1896. Brintons Designer Jane Bradley-Bain then recoloured the archive design using a warm and tonal colour palette, which complemented the new interior colour scheme at the theatre. The Campaign for Wool, of which His Royal Highness The Prince of Wales is Patron, returns this year to celebrate its 5th anniversary with the WOOL COLLECTION: Interiors. The launch of WOOL COLLECTION, an edit of wool interior pieces including a selection of specially commissioned items will be debuted by the Campaign for Wool with an exhibition at London’s Southwark Cathedral during Wool Week (5th-12th October). The WOOL COLLECTION exhibition will showcase innovative and diverse design highlighting the natural beauty and practical functionality of real wool. Over fifty curated interior items will be showcased with a selection from the high-street, designer, bespoke and commercial sectors and will include fabrics, flooring, furnishings and lifestyle items. Names such as Brintons, Jonathan Adler, Designers Guild, Camira Fabrics, Melin Tregwynt, Bute Fabrics, Naomi Paul, Tracy Kendall and Pentreath and Hall with Fine Cell Work are just some of those selected. Open to the public from the 5th to 12th October, the Interiors Wool Collection offers free admission and all items displayed will be on sale during Wool Week. 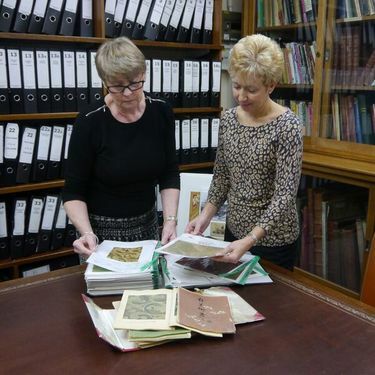 Brintons are debuting their brand new High Definition weave carpet from the Skulduggery Collection, carpeting a room at the Wool Collection exhibition. 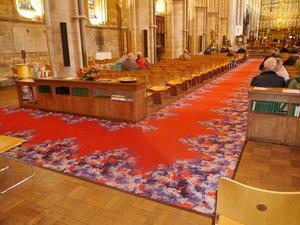 Also on display is a bespoke carpet designed by Erdem and manufactured by Brintons. 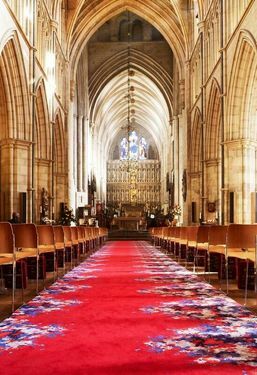 Renowned for his exquisite prints and surface textures, Erdem created a floral motif to be woven in to a beautiful carpet runway this is showcased within the Cathedral's Nave.